I had a problem of scarcity last week. Now, I have a problem of overabundance. There are so many kids in anime! Teenagers and their younger sidekicks rule the anime universe through sheer weight of numbers! Not to mention supernatural powers! You can hardly turn around without meeting a chosen one, or a specially-trained elite, or some overwhelming tough guy or girl… or a veritable horde of their supporters and enemies, also all kids! And, as I wondered about picking example of good adults, I wonder even more about picking examples of children. I mean, nothing against those who are currently still caught in the spring of their youth, but teenagers are not the brightest or most mature bunch on the block, ya know? So how does one pick five good examples? By their smarts, their attitude, their maturity, how annoying they are, how adorable they are? I have solved it, for myself, by defining childhood and adolescence as the path towards eventual adulthood. Thus, I present five anime adolescents who are examples of growing up. Now, I know what you’re thinking: Black Star? Black Star? He picks that annoying little loudmouth as an example of growing up?! 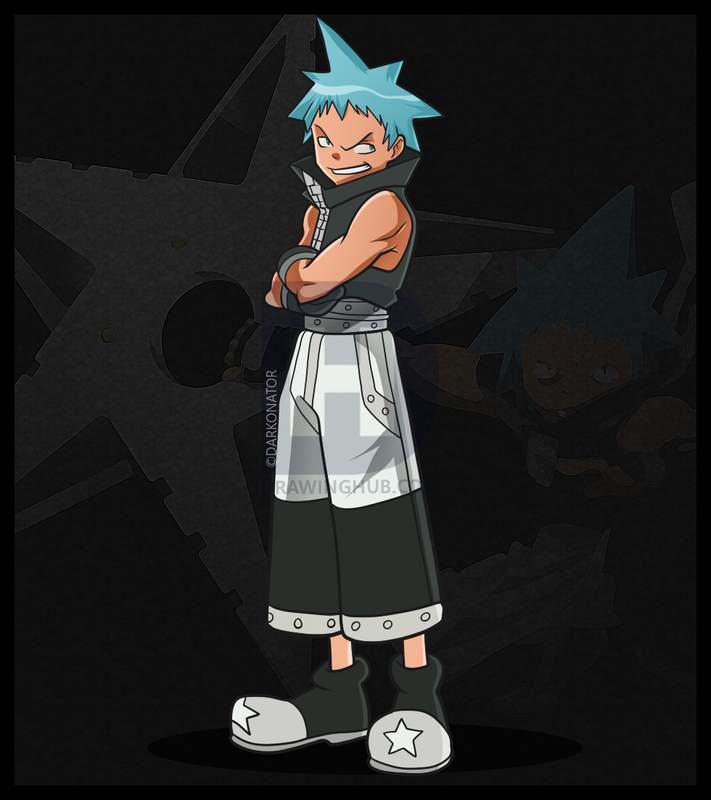 Black Star is, like many other adolescents, an annoying, aggressive, over-compensating, loud little braggart. Not about to deny that. But! He also stands as one of the more formidable warriors in the world. His quest to “surpasss God” or whatever might be rather stupid on the face of it, but it drives him forward. He has no family, and few friends, and one of the best connections he forms is with the samurai who is his archenemy. Stars shed light, and that’s what Black Star does, in his own way. He shines so brightly and so fierce that he blows away even the notion that he must choose a path that others have laid before him. Instead, he chooses his own path, without reservation. Not to say he’s mature at all by the end of the show, but he has taken a step towards growing up. 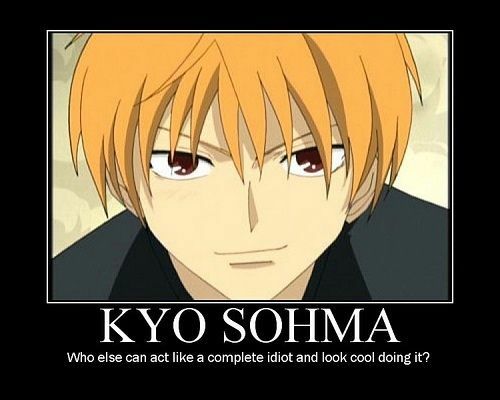 Kyo is another loud, aggressive character, though not nearly so much as Black Star. He has basically grown up as the outcast of his family, for circumstances he never had any control over. He’s had very little in the way of affection come his way, and he fights just to have his value recognized. But where Black Star is a lot of bluster and attitude, Kyo simply wears his heart on his sleeves. He is passionate, and does not hide who he is, not in the slightest. When he cares, he cares with his whole being, holding nothing back. Still, for all his passion, having been kept at a distance by the majority of everyone he’s ever met, he has trouble letting people in. Yet, through the influence of Tohru’s similarly genuine affection and Yuuki’s recognition of him, he learns, slowly, to let them in. He learns to let others love him. That is a tremendous step for such a troubled boy. 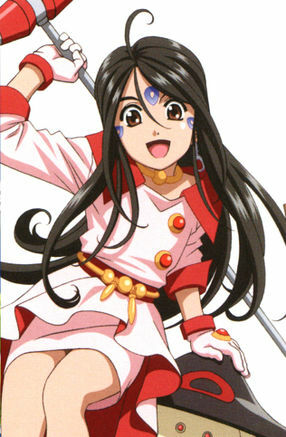 Ruiko may be a little more obscure. She may be with the main characters, but she doesn’t usually get the spotlight. Indeed, we care about her mostly because of her connection to the central heroes, but she really is a sweet girl. Thing is, she got a little envious, and let that envy get the better of her. She made a terrible mistake and paid a heavy price for it, one of fear and tears and very nearly losing her life. But she learned from it. She learned, and matured. And then, after having been a damsel in distress, due to her mistakes, she reclaimed the spotlight for a moment in the climactic finale. Here, the very thing that usually made her feel lesser to her friends was what allowed her to save them. And she made a wonderful declaration, after having been used like a lab rat, that no, they were not mere test subjects. Probably the most famous and least contested entry on this list. I mean, he’s probably the calmest and most mature entry on this list, especially compared to his brother. True, he tends to be the more reserved one, but one cannot deny his strength and determination. From the beginning, he has been a strong support to those around him, in every way. Nothing stops him for long. Heck, the boy lost his entire body in one magnificent screwup, yet he not only learned from this mistake, he refused to push any responsibility for it onto his brother, who led the way and blamed himself for the results. When it comes down to it, Alphonse is a truly caring soul, and he cares for his brother above all. Again and again, he puts the needs of others before his own wants. This comes after he once selfishly tried to bring his mother back from the grave just because he wanted her back. He matures greatly from his experiences, good and bad alike, and he recognizes maturity when he sees it in others. And when he is ready to make the ultimate sacrifice, he does so not for any grand, egotistical reasons, but simply because he knows it is the best and only way to protect those he cares about. 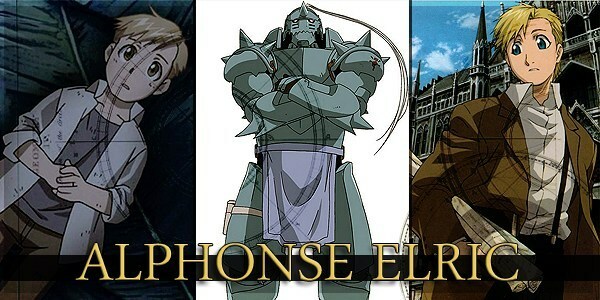 Alphonse is an excellent example of a boy who grew up. She’s a goddess, a mad scientist who builds robots, and a little girl who has some growing up to do. Admittedly, she doesn’t necessarily make huge strides on that last. She remains proud, reckless, selfish, but also spunky and sweet in her own way. She’s a bit of a spoiled brat at the start, to be honest, but she has a number of growing-up experiences throughout the show. She makes mistakes and deals with the consequences, she has her first crush, she even has her first date, and she meets her angel for the first time. She is growing up slowly, as most children do, and should. And there’s just something very lovable about this adorable little goddess, ya know? So, that’s my picks for five kids from anime. How about you? You got any favorites? This entry was posted in 30-Day Anime Pick 5 Challenge, Anime and Cartoons, Challenge Accepted and tagged A Certain Scientific Railgun, Ah My Goddess, Fruits Basket, Fullmetal Alchemist, Fullmetal Alchemist Brotherhood, Soul Eater. Bookmark the permalink. I really wasn’t a fan of Black Star but you are right, they picked good moments in the anime to show how he was underneath all his talking. Also I love Alphonse. He really had to grow up too soon. The only one we have in common is Railgun… And we’re firmly in agreement. Have you seen the Railgun S? If not, I don’t want to spoil it beyond saying she gets her big moment in the sun at the climax of that season as well. If I made this list, using your criteria, I’d be strongly tempted to fill it with at least two of the Antarctica girls – if not all four. Yep, seen it, though I’m forgetting the moment you mention. Didn’t watch the Antarctica anime. Nothing against it, it just didn’t hook me. But, speaking of girls, I was tempted to use another group of four girls who find that an old, sacred stone actually grants wishes. I was thinking of her and the mech in the final ep… Not a crowning moment of awesome as in S1, but definitely in the thick of the action. But it does remind me of Tsumugi in Sweetness & Lightning as a another potential child character. (The scene that it reminds me of is in the manga, the anime adaptation didn’t make it that far and trimmed out most of the setup anyhow.) 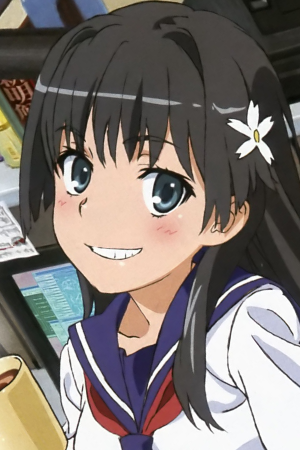 Or Naru from Barakamon…. On the other hand, I think characters like those two violate your criteria (or at least how I’d interpret them) but at the opposite end of the spectrum – they’re too good to be true.